Discover the unique charm of Salta during this 3-night excursion from Buenos Aires. Explore the city's colonial architecture and scenic surrounding countryside. Take a comprehensive tour of the city to learn about its history and culture. 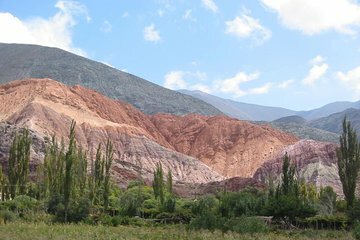 Set out for Humahuaca and Cafayate, nearby destinations known for their stunning landscapes, including the Seven Colors Hill. Round-trip airfare, nightly accommodation and daily breakfasts are included.